Photo collage of a busy weekend for West Ham Labour. Our MP Lyn Brown & Newham Labour Mayoral candidate, Rokhsana Fiaz, were out with local activists across West Ham talking to residents about any concerns and issues. We held stalls and sent door knocking teams in Forest Gate North & South, Plaistow North, Canning Town North & South, Stratford & Newtown and Green Street West. As part of my campaign to promote getting fit by being a Labour activist, I noted that I walked just under 12,000 steps yesterday! The cake and chocolate biscuits that Lyn bought us at the end of the day probably offset most of this mind!. 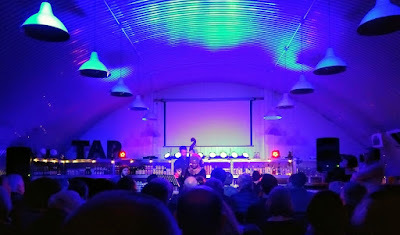 After a long day on Saturday I went to the Wansted Tap with a number of other West Ham Labour colleagues to a marvellous tribute to Nina Simone. 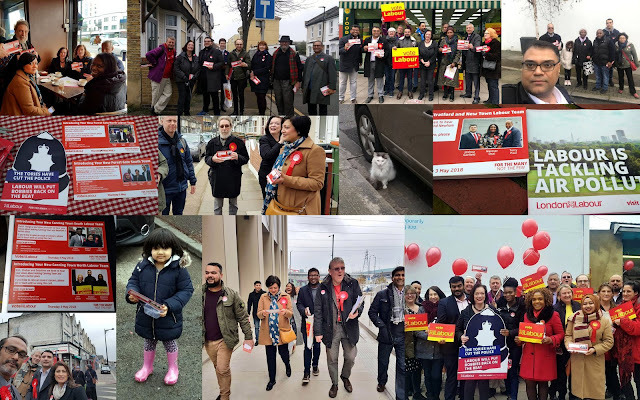 Today (Sunday) I skived off and went walking in Essex but comrades continued to campaign in West Ham ward, Plaistow North, Canning Town South and Green Street West.